Lost Odyssey is unique in a lot of ways. It's the rare traditional JRPG on high-definition consoles, for one—most role-playing games made in Japan today are more experimental, or designed for less costly handheld platforms. 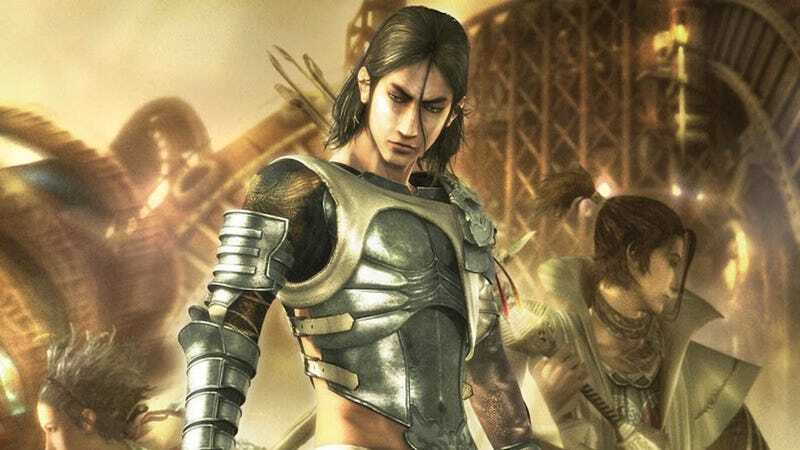 Lost Odyssey is also one of the only Japanese games exclusive to the Xbox 360, which never really took off in the East. What's most interesting about this game, though, seems totally mundane until you get your hands on it: the short stories. See, as you play Lost Odyssey—which I do recommend to anyone who enjoys turn-based JRPGs—you'll gradually unlock a feature called A Thousand Years of Dreams. The premise is that your main character, Kaim, is an immortal who has been around for roughly a millenium. Throughout the game, he remembers bits and pieces from his ridiculously long life, and they're told to you in the form of beautiful short stories written by Kiyoshi Shigematsu (and translated by Harvard professor Jay Rubin, who also translates Murakami novels). They're melancholic stories that touch upon life, death, and the effects that immortality can have on the people of this world. Soak it in. The music, the sound effects, the text's gentle fading. The lovely prose, which is light, captivating, and peppered with just the right amount of description. They're gripping. I've been replaying Lost Odyssey recently—more on that in a longer column in the coming weeks—and these stories really stand out, not just within this game but as a benchmark for writing quality in all video games. More JRPGs should come with short stories, don't you think?